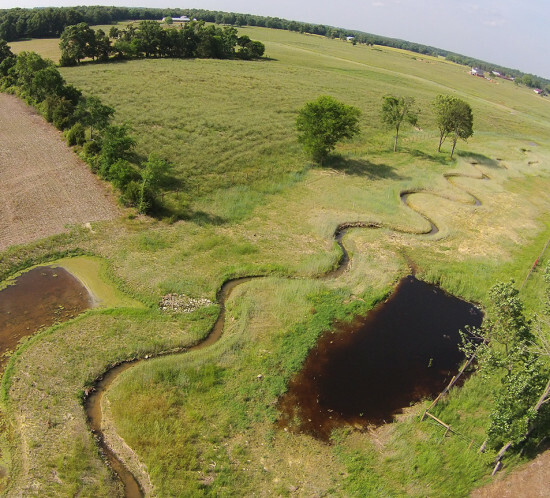 Wildlands has restored a mountain stream and wetland complex on a cattle farm near the Town of Sparta, NC. Project elements include: (1) restoration and enhancement to 7,927 feet of streams; (2) 3.0 acres of wetlands enhancement and 3.5 acres of wetlands creation; and (3) expansion and improvement of 2.0 acres of Southern Appalachian Bog habitat, which is intended to support populations of bog turtles. 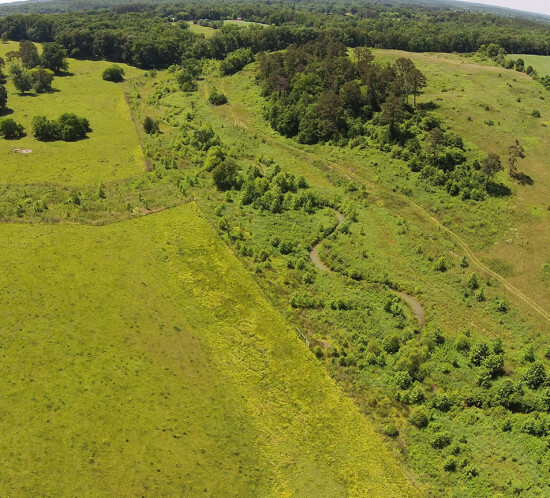 USFWS and North Carolina Wildlife Resources Commission (NCWRC) biologists identified existing habitat within multiple linear man-made ditches across the site. These ditches were plugged to retain water on the site and widened to expand the bog conditions suitable for the turtles. In addition, Little River is a hatchery-supported trout stream stocked by the NCWRC. While there are no immediate plans to stock trout, Vile Creek is large enough to hold trout that migrate from Little River; therefore, the design goals also included enhancement of fish habitat. 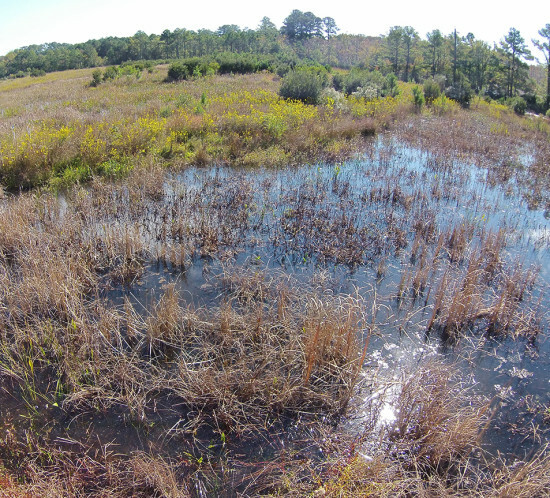 Long-term (post-monitoring period) management of the bog habitat is being coordinated with third party organizations, such as the NCWRC and/or the Bog Learning Network. In January 2013, Berkeley County (County) solicited proposals for coastal stream mitigation to support projects funded by the County’s One Cent Local Option Sales Tax. The ‘full-delivery mitigation’ solicitation, managed by the SCDOT, was only the second to be issued in the state of South Carolina and has allowed local municipalities and the SCDOT to contract for turn-key mitigation where mitigation credits were not readily available, expedite USACE permitting timelines, focus on core competencies (transportation infrastructure improvement), and transfer the development and risk of mitigation to the private mitigation sector. The Cannon Creek Mitigation Site provides stream mitigation credits in the Cooper River watershed and Mid-Atlantic Coastal Plain. Cannon Creek was a degraded incised coastal plain stream system which provided limited habitat diversity. Nutrients and stormwater runoff were discharged directly into Cannon Creek and conveyed into the Cooper River; a 303d listed waterbody. 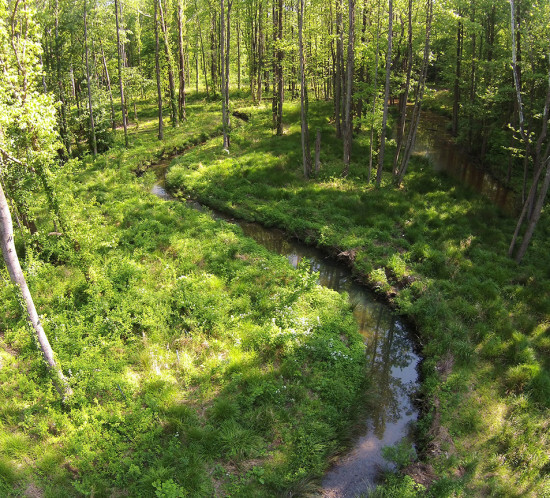 The project restored 4,764 linear feet of Cannon Creek and its tributaries. Improved in-stream and terrestrial (riparian) habitats were provided, along with improved stream stability, reduced risk of sewer infrastructure encroachment, and improved hydrologic function. 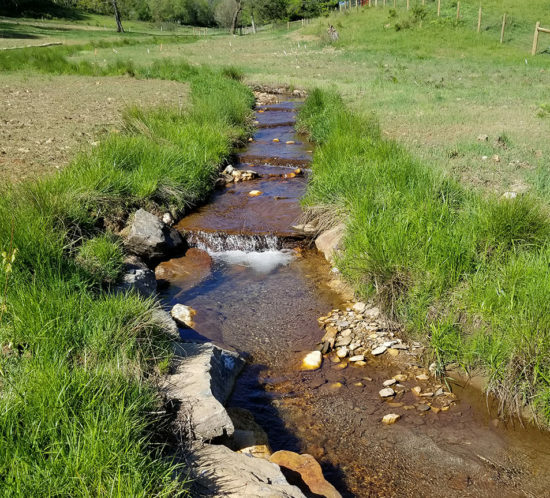 Nutrient and sediment reduction is being provided through vegetative buffering, cattle exclusion, and relocation of the stream away from the sanitary sewer line and residential backyards. Excavation of a new floodplain at a lower elevation allows for frequent floodplain inundation, nutrient filtration, and reduced loadings to the Cooper River. Construction was completed in 2015 and Wildlands is currently conducting five years of post-construction monitoring. Wildlands has restored this stream and wetland site that is surrounded by forested land and was previously used for corn production. A large shopping center is located immediately north of the site, with an active railroad running along the eastern edge of the project boundary. The project will provide 4,902 stream mitigation units and 13.4 wetland mitigation units in the Cape Fear River basin. The project includes categorical exclusion documentation, existing conditions assessment, landowner coordination, conservation easement acquisition, stream and wetland restoration design, permitting, construction, and five years of post-construction monitoring. 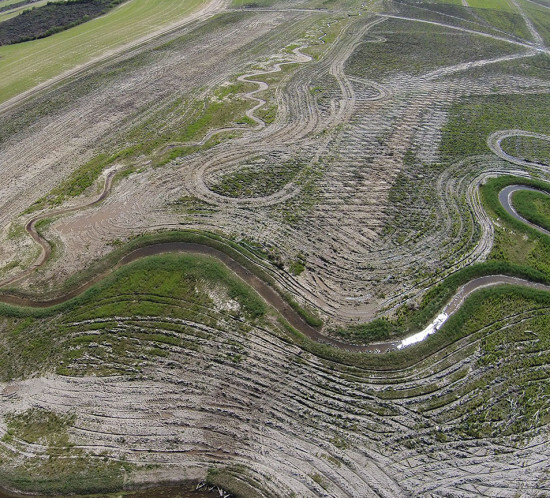 Because Little Troublesome Creek is located in a mapped floodplain, Wildlands performed detailed hydraulic modeling of the proposed restoration design for a CLOMR to satisfy FEMA requirements. Construction of the project was completed in the spring of 2012. The project is currently in the monitoring phase. This Wildlands designed wetland mitigation project was constructed during the summer of 2010 for the Virginia Department of Transportation. The site was selected for enhancement and creation of three wetland types (emergent, scrub-shrub, and forested) to mitigate for wetland impacts resulting from the proposed widening of Princess Anne Road and the construction of Nimmo Parkway. 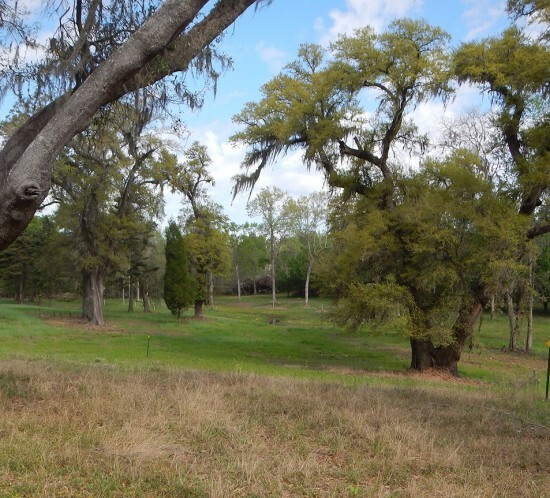 Approximately 24 acres of wetlands were created or enhanced as a result of the project. This includes 16 acres of palustrine forested wetland creation, three acres of palustrine emergent wetland creation, 0.1 acres of scrub-shrub wetland creation and five acres of palustrine emergent wetlands enhancement. Key elements of the project included soil classification and analysis, groundwater monitoring, well installation and monitoring, wetland hydrologic modeling, grading design, permitting, construction document development, construction oversight, as-built plan development, baseline monitoring, and ten years of post-construction monitoring to document hydrologic and vegetative success and remediation if necessary. Construction was completed in December of 2011 and the project is currently in the monitoring phase. Wildlands is developing a full-delivery project in rural Union County on Norkett Branch and four tributaries. The project will provide 10,098 stream mitigation units for the NC Division of Mitigation Services. The project includes existing site assessment, conservation easement acquisition, permitting, stream restoration design, construction, and seven years of post-construction monitoring of geomorphic stability and vegetation. Detailed hydraulic modeling has been completed for both CLOMR and LOMR approvals. Two stormwater BMPs were being constructed to treat headwater agricultural runoff and provide SMU credit. Land Mechanic Designs, Inc. completed construction of the project in April 2014. The project is currently in the monitoring phase. Wildlands completed design, permitting, and construction observation for the restoration and enhancement of a high elevation riparian system. Phase II construction was completed in 2009 on approximately 5,200 feet of trout waters on the West Fork of the Linville River in the Upper Linville River Watershed. Several sections of the river design focused on total restoration of degraded stream corridors while other river reaches were enhanced for trout habitat. The project design also included riparian habitat enhancement and pond and dam rehabilitation to protect water quality from a small agricultural tributary. Wildlands performed all permitting for the project including 401/404 permits, erosion and sedimentation control, and floodplain permits. Wildlands also worked closely with the contractor during construction. This project was funded by the NC Clean Water Management Trust Fund. 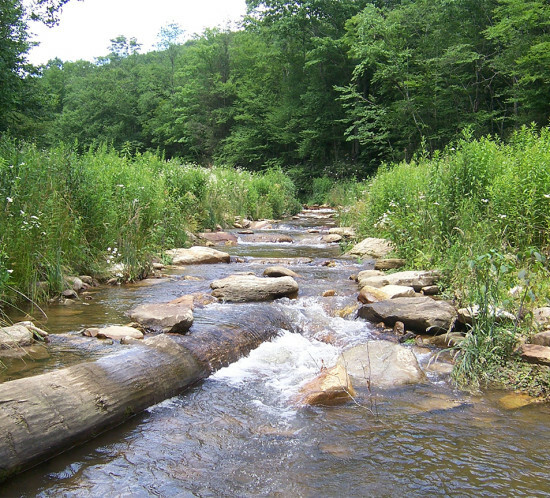 In 2012, Wildlands completed design and permitting for Phase III of the Linville River restoration project. This phase includes 2,425 linear feet of enhancement on the Linville River and 520 linear feet on an associated tributary as well as wetland restoration and creation in place of three acres of borrow pits that were originally excavated for the construction of Highway 105 through the Town of Linville. A detailed hydraulic model was developed to support a no-rise floodplain development permit. To date, the Devil’s Racetrack Stream and Wetland Mitigation Project is one of the largest mitigation projects developed in North Carolina. The project was constructed in 2013/2014 and resulted in the restoration of a coastal plain stream and wetland complex. The ecological benefits of the project include reduction of pollutants, such as sediment and nutrients to downstream waters, restoration of natural aquatic and terrestrial habitats, and restoration of wetland hydrology to long drained agricultural fields. By closeout of the post-construction monitoring period, the site will have generated nearly 19,000 stream mitigation units and nearly 60 wetland mitigation units. The site is located in the Neuse River Basin and provides mitigation to support development from Roxboro, NC to Goldsboro, NC, including the Triangle area. Wildlands is developing this full-delivery project on the 75-acre Owl’s Den Farm, where blackberries are the primary production crop. The project will provide 2,400 stream mitigation units and 8.0 wetland mitigation units for the NC Division of Mitigation Services. The project includes existing site assessment, conservation easement acquisition, permitting, stream restoration design, construction, and seven years of post-construction monitoring of geomorphic stability and vegetation. Detailed hydrologic modeling was completed to study wetland-groundwater connections and assist with design development. Construction was completed in July 2015 and planted in fall 2015. The project is currently in the monitoring phase. 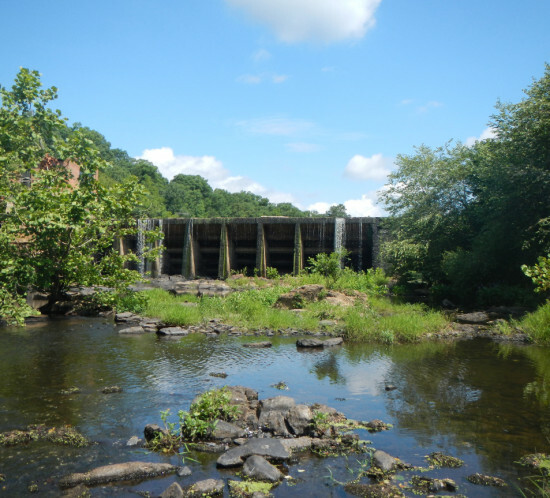 In the fall of 2018, Wildlands worked with Unique Places and Schnabel Engineering with help from USFWS to remove the 94-year old hydroelectric dam located on the Rocky River in Chatham County, NC. The dam was removed as part of a National Fish and Wildlife Foundation grant to restore the Rocky River and open up 18,000 linear feet of habitat between two critical habitat areas of the endangered Cape Fear shiner. Wildlands was responsibility for the existing conditions assessment (including a Tier 1 sediment study), a sediment management plan, a biological assessment of the Cape Fear shiner, construction plans, and construction administration. 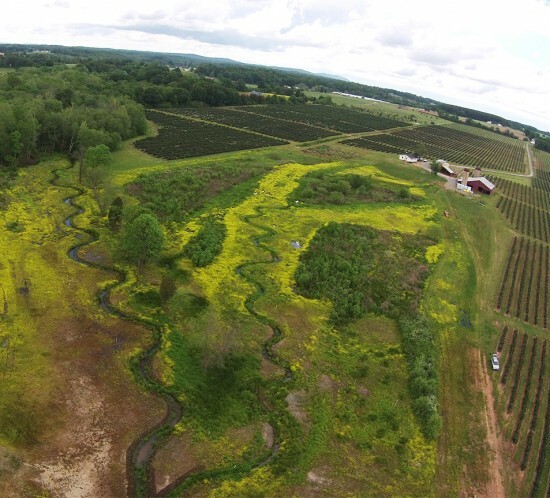 Wildlands has completed ecological restoration work at a site near Albemarle, NC. At close-out the project provided 6,453 SMUs on Scaly Bark Creek and six (6) unnamed tributaries in the Yadkin River basin. The project included categorical exclusion documentation, existing conditions assessment, landowner coordination, conservation easement acquisition, restoration design, permitting, construction, and five (5) years of post-construction monitoring. Because Scaly Bark Creek is located in a mapped floodplain, Wildlands performed detailed hydraulic modeling of the proposed restoration and successfully completed a Conditional Letter of Map Revision (CLOMR). Construction was completed in April 2011 by North State Environmental. A Letter of Map Revision (LOMR) was completed with the as-built survey. The project reached the close-out phase in July 2016.